The “Babylonian Algorithm” for approximating square roots is a great example of a recursive function or iterative calculation. I first encountered this method in an undergraduate Real Analysis I took at University of Maine in 2002. The basic idea is that we make a guess for the square root of a number (let’s say ). So we could guess . Then we divide and then average our guess with the result of the division and then follow the process all over again and and continue this process until the desired accuracy is achieved. is actually a pretty good result for . And again – it works great! I haven’t figured out the problem with the original fifth root algorithm I tried, but I think that the A/B^4 introduces something that throws it off. Many years ago I picked up a copy of Martin Gardner’s book A Gardner’s Workout. In his book, Gardner reviews a collection of writing by the late Ralph Boas, a former professor and department chair at Northwestern University. If Wedderburn says it’s obvious, everybody in the room has seen it ten minutes ago. If Bohnenblust says it’s obvious, it’s obvious. If Bochner says it’s obvious, you can figure it out in half an hour. If von Neumann says it’s obvious, you can prove it in three months if you’re a genius. If Lefschetz says it’s obvious, it’s wrong. On top of the humor is the historical nature of this little joke. The people mentioned are all well-known mid-century mathematicians from Princeton University faculty. 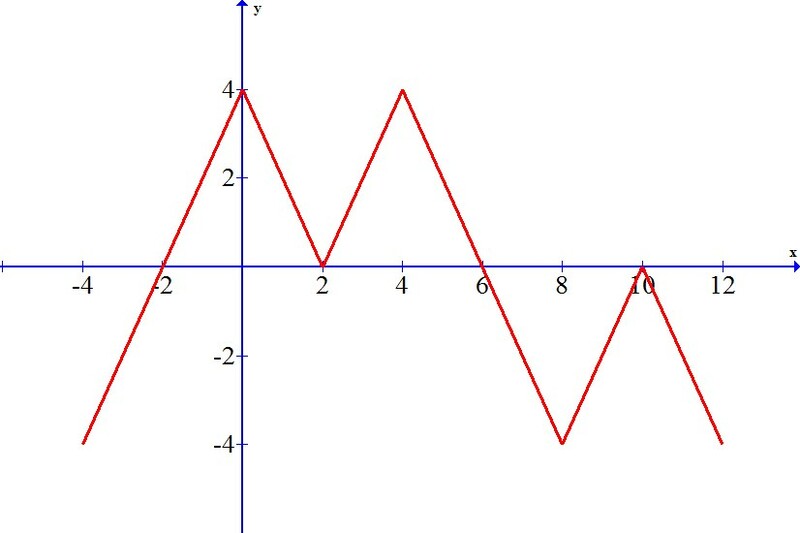 Here’s a graph of the equation in . I was perusing some old AP Calculus exams recently and ran across an interesting problem. The free-response questions are an interesting bunch. I won’t analyze or critique them too much except to say that they tend to be kind of the same, without much variety. The question I was really drawn to presents the graph of a derivative function and asks a series of questions about the maximum/minimum values and points of inflection of the underlying function. 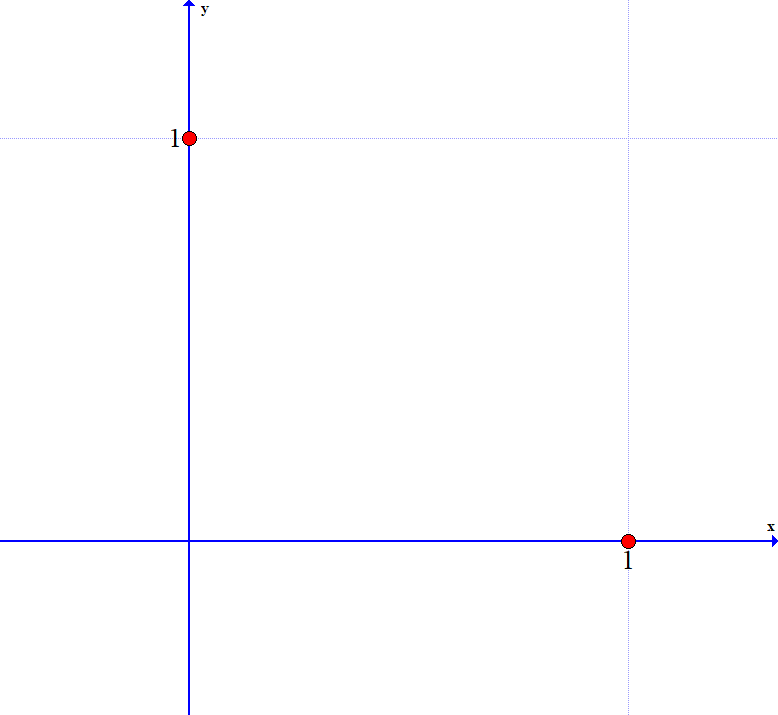 It says that if the graph below is and , then etc, etc. One of my students gave me a problem last fall that was very interesting. What is the measure of ? That is, what is the value of ? 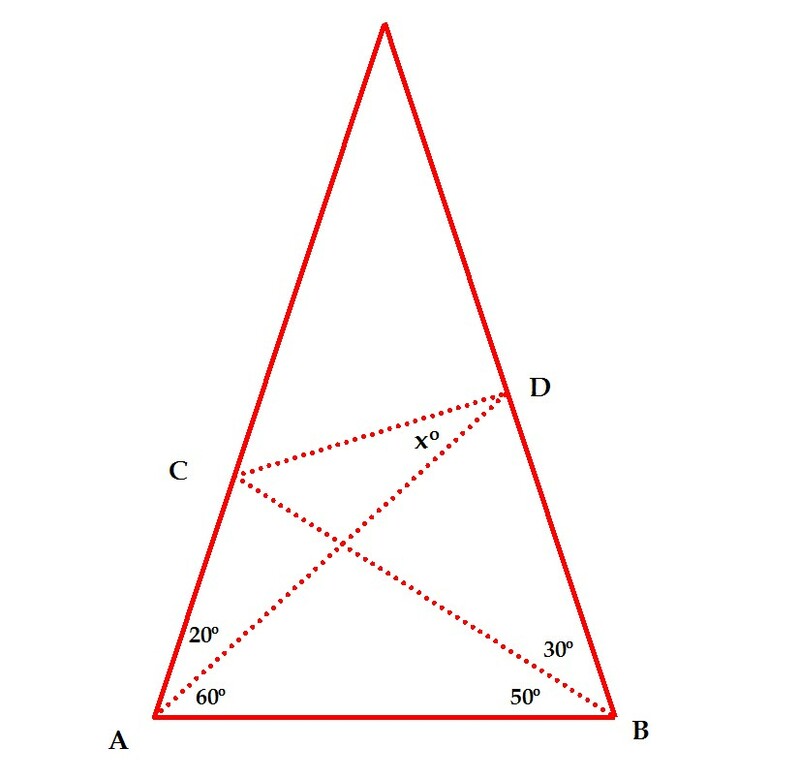 I’ve given a similar problem in my trigonometry class for the past few years, except that version of the problem has a side length included and the triangle is not isosceles. Working from my experience with the other version of this problem, I began to write in values for the various unlabeled angles in the diagram – if we label the intersection of and as , then and are both , and are both , which makes and is . I added in new variables and created a system of four equations with four unknowns, but it was a dependent system. Evaluate for and let stand at room temperature for 1000 terms for accuracy to three decimal places. But this doesn’t look like a pi! or taste like a pi! There was an interesting article in the January 31, 2016 New York Times about the proliferation of fake locksmiths on Google. I was really interested in this because I ran into this problem about four years ago when I locked my keys in my car (while it was running!) in Seaside. I went into the office of the hotel where I was parked and used their internet connection to search for a locksmith in Seaside. The one I called immediately started asking for personal information rather than the address where the car was. I asked them where they were and it turned out they were in Salem. It wasn’t clear to me how they were going to help me from Salem, so I hung up and found a phone book. I called a local locksmith in Seaside listed in the (paper) yellow pages. They showed up in ten minutes and got in my car for $20. Problem solved (for me). This is why I was so interested to see this article in the NY Times about locksmith internet scams. Apparently, the call centers that come up in a locksmith search farm the jobs out to independent contractors who often bait and switch by charging far more than the original quoted price. They also are typically short-term temps who don’t care about their reputation. Some of these scammers go so far as to create fake digital storefronts that show up on Google maps as if they were an actual local business. In other words don’t think that, because something exists in a mediated form, that it will necessarily exist in the physical world. This problem has essentially no effect on Google’s revenue, so they have almost no interest in fixing or monitoring the problem. The internet is a wonderful tool, but be aware of the REAL physical local businesses in your area and support them in the real world.